California Border Collie Rescue View other Border Collies for adoption. JOE COOL! Hes awesome! He was adopted and returned a year ago due to loss of their home! He loves to play with lots of dogs. Joe is always happy, loves to play, go for walks, the beach, camping! He loves to herd dogs and shows all signs of his cattle dog, border collie backround! 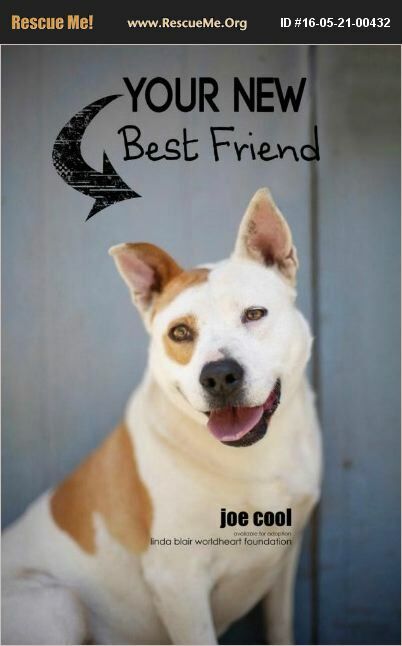 He's a GOOD GUY all around and super wishes for his own forever home again! Please fill out an application and tell us what great home and life you have for Joe Cool! Applications can be found on our website www.LindaBlairWorldheart.org under the Adopt Today tab. Up to date on shots, neutered and microchipped! Southern Ca adoptions only due to home checks.